Son of Mr. Shelby and Mrs. Shelby and devoted friend to Tom and the other slaves, George Shelby promises to bring Tom back to the Kentucky estate and writes to Tom in his absence. When George learns that Tom lives on Legree’s plantation, he goes there to visit, only to find that Tom is on the verge of death. At Tom’s deathbed he promises to work tirelessly to free those slaves his family owns. At the end of the novel he dedicates Uncle Tom’s cabin to the memory of his beloved friend. The timeline below shows where the character George Shelby, Jr. appears in Uncle Tom's Cabin. The colored dots and icons indicate which themes are associated with that appearance. Schlegel, Chris. 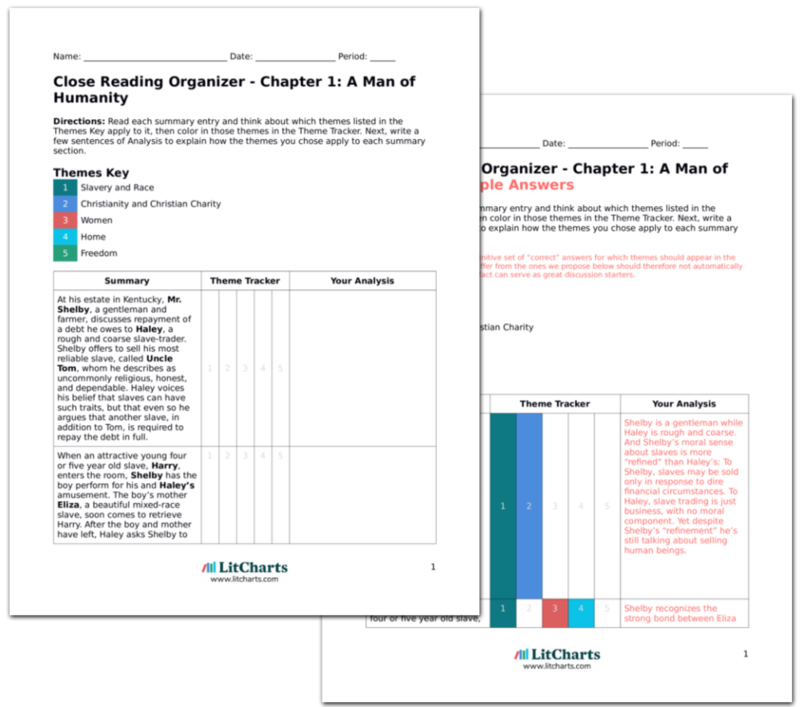 "Uncle Tom's Cabin Characters: George Shelby, Jr.." LitCharts. LitCharts LLC, 17 Sep 2013. Web. 29 Mar 2019. Schlegel, Chris. 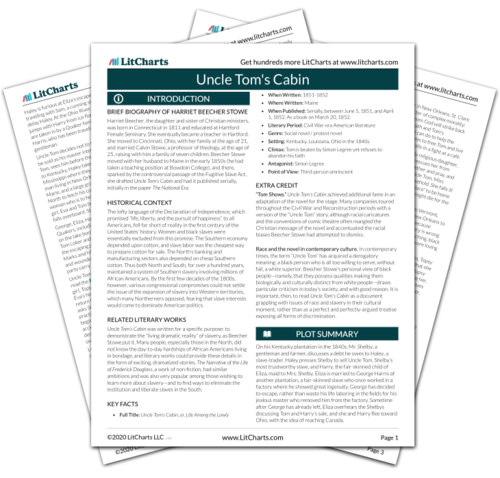 "Uncle Tom's Cabin Characters: George Shelby, Jr.." LitCharts LLC, September 17, 2013. Retrieved March 29, 2019. https://www.litcharts.com/lit/uncle-tom-s-cabin/characters/george-shelby-jr.